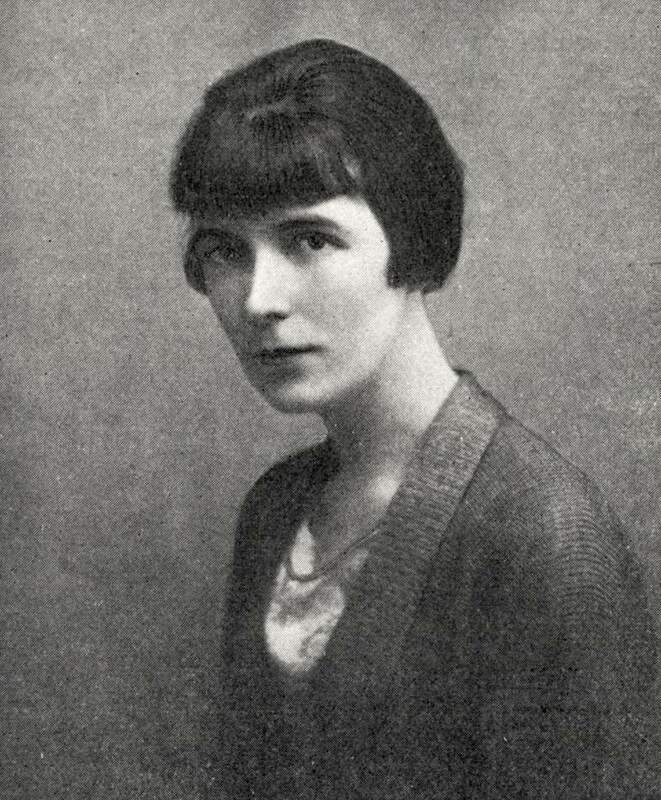 Short Story Critical Analysis: Sample Essay on "Miss Brill"
Katherine Mansfield (pen name of Katherine Mansfield Beauchamp Murry), 1888-1923. In "Miss Brill," Katherine Mansfield introduces readers to an uncommunicative and apparently simple-minded woman who eavesdrops on strangers, who imagines herself to be an actress in an absurd musical, and whose dearest friend in life appears to be a shabby fur stole. And yet we are encouraged neither to laugh at Miss Brill nor to dismiss her as a grotesque madwoman. Through Mansfield's skillful handling of point of view, characterization, and plot development, Miss Brill comes across as a convincing character who evokes our sympathy. By telling the story from the third-person limited omniscient point of view, Mansfield allows us both to share Miss Brill's perceptions and to recognize that those perceptions are highly romanticized. This dramatic irony is essential to our understanding of her character. Miss Brill's view of the world on this Sunday afternoon in early autumn is a delightful one, and we are invited to share in her pleasure: the day "so brilliantly fine," the children "swooping and laughing," the band sounding "louder and gayer" than on previous Sundays. And yet, because the point of view is the third person (that is, told from the outside), we're encouraged to look at Miss Brill herself as well as share her perceptions. What we see is a lonely woman sitting on a park bench. This dual perspective encourages us to view Miss Brill as someone who has resorted to fantasy (i.e., her romanticized perceptions) rather than self-pity (our view of her as a lonely person). Miss Brill reveals herself to us through her perceptions of the other people in the park--the other players in the "company." Since she doesn't really know anyone, she characterizes these people by the clothes they wear (for example, "a fine old man in a velvet coat," an Englishman "wearing a dreadful Panama hat," "little boys with big white silk bows under their chins"), observing these costumes with the careful eye of a wardrobe mistress. They are performing for her benefit, she thinks, even though to us it appears that they (like the band which "didn't care how it played if there weren't any strangers present") are oblivious to her existence. Some of these characters are not very appealing: the silent couple beside her on the bench, the vain woman who chatters about the spectacles she should be wearing, the "beautiful" woman who throws away a bunch of violets "as if they'd been poisoned," and the four girls who nearly knock over an old man (this last incident foreshadowing her own encounter with careless youths at the end of the story). Miss Brill is annoyed by some of these people, sympathetic toward others, but she reacts to them all as if they were characters on stage. Miss Brill appears to be too innocent and isolated from life to even comprehend human nastiness. But is she really so childlike, or is she, in fact, a kind of actress? There is one character whom Miss Brill appears to identify with--the woman wearing "the ermine toque she'd bought when her hair was yellow." The description of the "shabby ermine" and the woman's hand as a "tiny yellowish paw" suggests that Miss Brill is making an unconscious link with herself. (Miss Brill would never use the word "shabby" to describe her own fur, though we know that it is.) The "gentleman in gray" is very rude to the woman: he blows smoke into her face and abandons her. Now, like Miss Brill herself, the "ermine toque" is alone. But to Miss Brill, this is all just a stage performance (with the band playing music that suits the scene), and the true nature of this curious encounter is never made clear to the reader. Could the woman be a prostitute? Possibly, but Miss Brill would never consider this. She has identified with the woman (perhaps because she herself knows what it's like to be snubbed) in the same way that playgoers identify with certain stage characters. Could the woman herself be playing a game? "The ermine toque turned, raised her hand as though she'd seen someone else, much nicer, just over there, and pattered away." The woman's humiliation in this episode anticipates Miss Brill's humiliation at the end of the story, but here the scene ends happily. We see that Miss Brill is living vicariously, not so much through the lives of others, but through their performances as Miss Brill interprets them. "They were odd, silent, nearly all old, and from the way they stared they looked as though they'd just come from dark little rooms or even--even cupboards!" "And then she too, she too, and the others on the benches--they would come in with a kind of accompaniment--something low, that scarcely rose or fell, something so beautiful--moving." Almost despite herself, it seems, she does identify with these marginal figures--these minor characters. We suspect that Miss Brill may not be as simple-minded as she first appears. There are hints in the story that self-awareness (not to mention self-pity) is something Miss Brill avoids, not something of which she is incapable. In the first paragraph, she describes a feeling as "light and sad"; then she corrects this: "no, not sad exactly--something gentle seemed to move in her bosom." And later in the afternoon, she again calls up this feeling of sadness, only to deny it, as she describes the music played by the band: "And what they played warm, sunny, yet there was just a faint chill--a something, what was it--not sadness--no, not sadness--a something that made you want to sing." Mansfield suggests that sadness is just below the surface, something Miss Brill has suppressed. Similarly, Miss Brill's "queer, shy feeling" when she tells her pupils how she spends her Sunday afternoons suggests a partial awareness, at least, that this is an admission of loneliness. Miss Brill appears to resist sadness by giving life to what she sees and hears the brilliant colors noted throughout the story (contrasted to the "little dark room" she returns to at the end), her sensitive reactions to the music, her delight in small details. By refusing to accept the role of a lonely woman, she is an actress. More importantly, she is a dramatist, actively countering sadness and self-pity, and this evokes our sympathy, even our admiration. A chief reason that we feel such pity for Miss Brill at the end of the story is the sharp contrast with the liveliness and beauty she gave to that ordinary scene in the park. Are the other characters without illusions? Are they in any way better than Miss Brill? Finally, it's the artful construction of the plot that leaves us feeling sympathetic toward Miss Brill. We are made to share her increasing excitement as she imagines that she is not only an observer but also a participant. No, we don't believe that the whole company will suddenly start singing and dancing, but we may feel that Miss Brill is on the verge of a more genuine kind of self-acceptance: her role in life is a minor one, but she has a role all the same. Our perspective of the scene is different from Miss Brill's, but her enthusiasm is contagious and we are led to expect something momentous when the two-star players appear. The letdown is terrible. These giggling, thoughtless adolescents (themselves putting on an act for each other) have insulted her fur--the emblem of her identity. So Miss Brill has no role to play after all. In Mansfield's carefully controlled and understated conclusion, Miss Brill packs herself away in her "little, dark room." We sympathize with her not because "the truth hurts," but because she has been denied the simple truth that she does, indeed, have a role to play in life. Miss Brill is an actor, as are the other people in the park, as we all are in social situations. And we sympathize with her at the end of the story not because she is a pitiful, curious object but because she has been laughed off the stage, and that is a fear we all have. Mansfield has managed not so much to touch our hearts in any gushing, sentimental way, but to touch our fears.